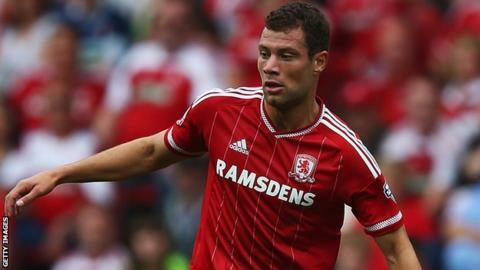 League One side Wigan Athletic have signed Middlesbrough winger Yanic Wildschut on a three-month loan deal. Wildschut, 23, has made 12 Championship appearances for the Teesiders since signing from Heerenveen in 2014. The former Netherlands Under-21 international will be available for Saturday's home match with Walsall. "He is technically very comfortable and has had 12 months to get used to the English game," Wigan boss Gary Caldwell told the club website. Wildschut is a product of the Ajax academy and has played for other Dutch sides FC Zwolle, VVV Venlo and ADO Den Haag. Wigan are ninth in League One after 10 games, two points outside the play-off places. Caldwell added: "We've lacked that bit of creativity from the flanks and we were interested as soon as we found out he may be available."